2-1-1 San Diego is a resource and information hub that connects people throughout San Diego County with community, health and disaster services through a free, 24/7 stigma-free confidential phone service and searchable online database. The American Red Cross Women, Infants and Children (WIC) Program helps pregnant women, new mothers and young children eat well, stay healthy, and be active. California Food Policy Advocates is a statewide policy and advocacy organization dedicated to improving the health and well-being of low income Californians by increasing their access to nutritious, affordable food. Community Health Improvement Partners is an innovate think tank for a wide range of public health issues. CHIP staff manages volunteer work teams and public-private partnerships that address the critical healthcare issues identified in our triennial needs assessment through model projects that unify the community and effectively share resources. Community Resource Center (CRC) is a nonprofit social services agency dedicated to helping women and children, individuals, and families throughout coastal North San Diego County live safe, self-sufficient lives by providing critical assistance in the areas of domestic violence services, food programs, and emergency and transitional housing assistance. Donate Don’t Dump is an all-volunteer, youth powered, teen run organization determined to change the paradigm of commercial food waste and draw attention to the issue of hunger. Feeding America San Diego distributes healthy food with dignity to San Diego residents struggling with hunger and is committed to solving hunger in our communities and informing the public on the issues of food insecurity, nutrition and poverty. Heaven’s Windows is a nonprofit network and charitable organization based in East County San Diego that promotes available resources and provides support and emergency services for residents with, hunger relief, nutritional education, advocacy, and community service. 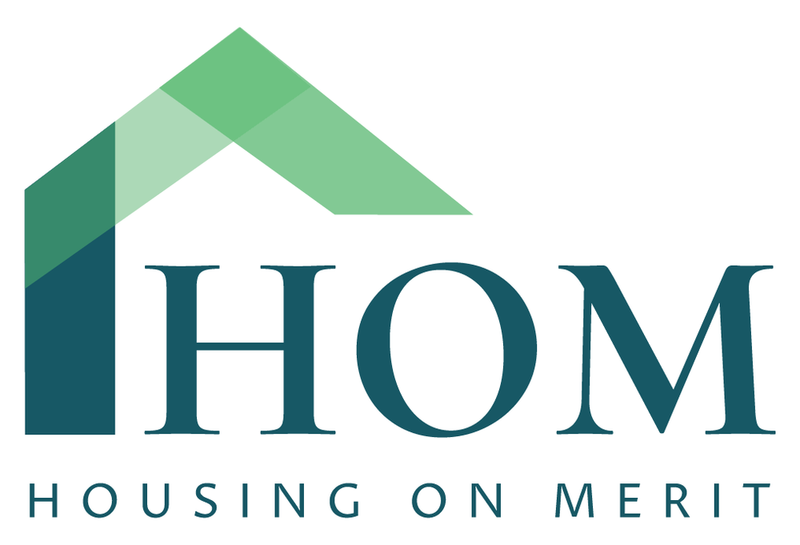 Housing on Merit (HOM) is a nonprofit organization that is committed to preserving and developing affordable housing. HOM creates a bridge to permanent affordable housing for vulnerable populations and builds communities where residents can access support services and growth opportunities to maintain safe, stable housing, and make positive life changes. To advance the organization, management and effective delivery of affordable, medically necessary, quality health care services for the San Diego and Imperial County communities. The Hospital Association of San Diego and Imperial Counties provides leadership, representation, advocacy, and acts as an advisory on behalf of our members and in collaboration with local governmental entities, safety-net providers, the media, business coalitions, academia, community organizations, community-based organizations, and the public. The Jacobs & Cushman San Diego Food Bank provides food to people in need, connects people to a range of health and human service providers, advocates for the hungry, and and educates the public about hunger in our community. Produce Good is committed to finding sustainable solutions to alleviate hunger, reclaim and repurpose waste, and promote the health and well-being of community members through social engagement, reciprocity. UC San Diego Center for Community Health is dedicated to improving and promoting health and wellness in communities where people live, work, learn, play and worship. The San Diego County Childhood Obesity Initiative is a public-private partnership with the mission of reducing and preventing childhood obesity through policy, systems, and environmental change. The purpose of the San Diego Food System Alliance is to develop and maintain an equitable, healthy and sustainable food system for the benefit of all people in San Diego County. SDSU Research Foundation Women, Infants, and Children Program is dedicated to improving health and nutrition education for San Diego families. As San Diego's largest and most comprehensive health care system, Sharp sets the community standard for exceptional care, showing its commitment to the community through various health care services and its free educational outreach programs and other community benefit activities. CHAC is a broad-based membership organization of volunteers united in the belief that access to adequate, nutritious and safe food is a fundamental human right. Each year CHAC organizes a statewide Hunger Action Day, giving people across the state the opportunity to tell their elected officials about the needs in their community. The North County Food Policy Council seeks to find solutions to address the unmet food security needs of the residents of North San Diego County and to increase access to a secure and nutritionally quality food supply. HAN also participates in the Health and Human Services Network, focused on increasing funding for social services programs in California, and the Supplemental Security Income (SSI)-focused coalition, Californians for SSI (CA4SSI). Western Center on Law & Poverty fights for justice and system-wide change to secure housing, health care and a strong safety net for low-income Californians. MAZON: A Jewish Response to Hunger is a national nonprofit organization working to end hunger among people of all faiths and backgrounds in the United States and Israel. California Food Policy Advocates (CFPA) is non-profit organization dedicated to increasing low-income Californians’ access to healthy food. California Association of Food Banks (CAFB) is a membership organization of 43 food banks from throughout the state with a shared mission to build a well-nourished California and a firm commitment to providing cutting-edge leadership in the anti-hunger community.